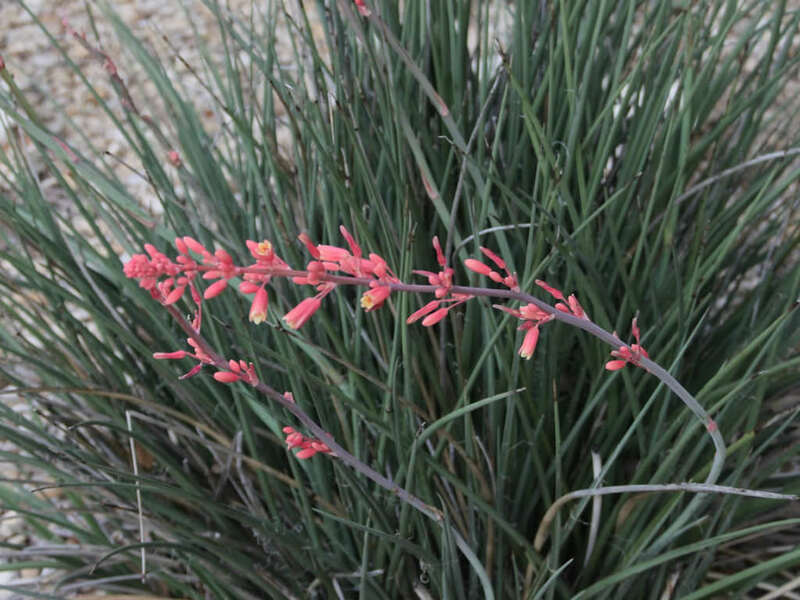 Hesperaloe parviflora is a stemless succulent with clumps of arching and spreading, grass-like foliage up to 4 feet (1.2 m) tall and spreading wider than tall. The leathery, long, narrow, blue-green leaves have deep grooves and white fraying fibers along the margins and winter temperatures sometimes turn the foliage slightly purple. 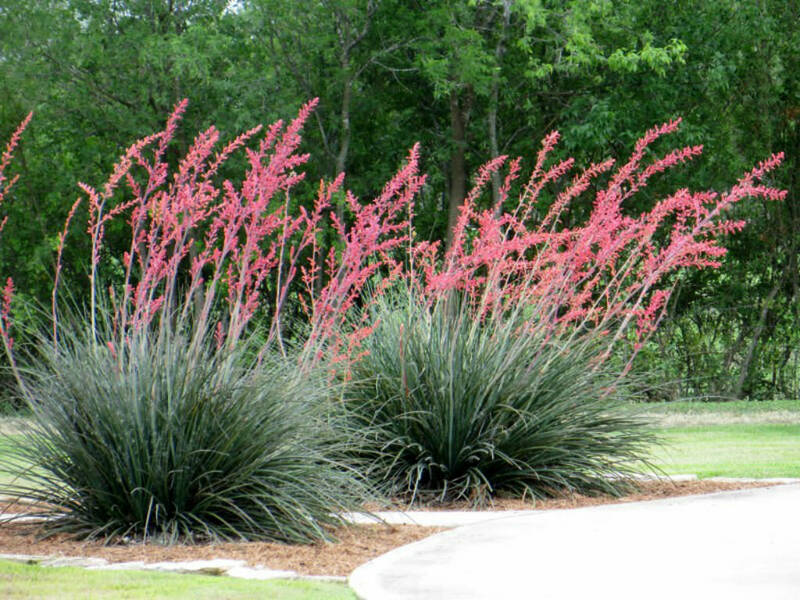 Clumps spread slowly to up to 6 feet (1.8 m) wide. In late spring to mid summer the clusters of rose-pink flowers are borne on tall red flower stalks up to 5 feet (1.5 m) long, that arch up and outward. Individual rosette only flower once and are replace by younger ones with old plants appearing to be closely packed, grass-like clumps but are actually clusters of separate but closely-spaced rosettes with the oldest flowering rosettes towards the center and younger vegetative rosettes towards the outside. 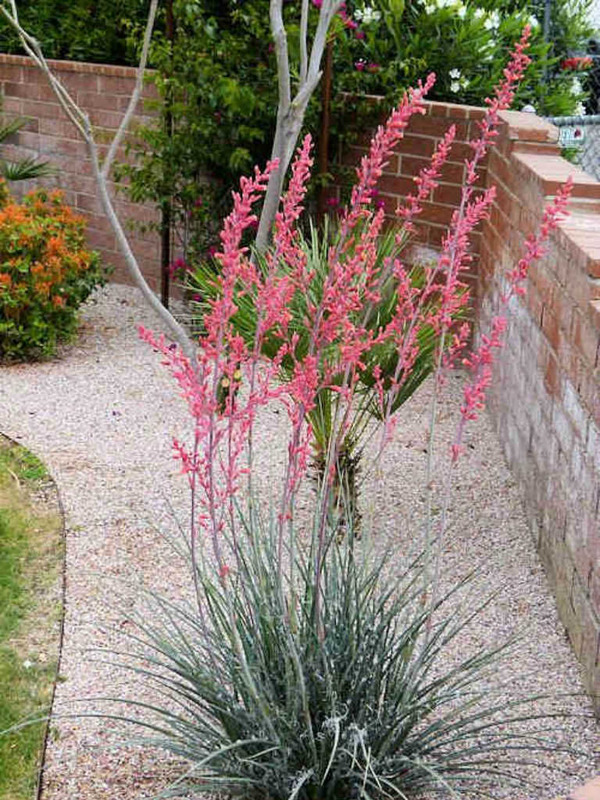 Plant Red Yucca in full sun in well-drained soil, preferably a bit sandy. 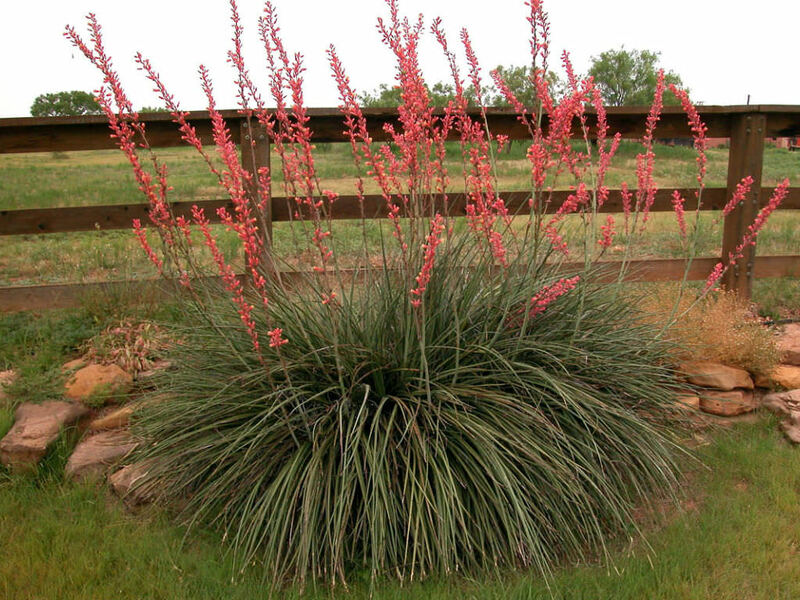 To establish a deep and extensive root system, follow a regular watering schedule during its first growing season. 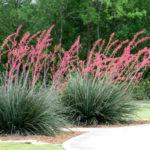 Feed with a general purpose fertilizer in the spring, before the new growth starts. 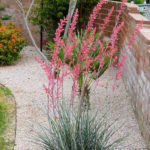 Although established plants can get by on little water, for better-looking blooms, give them a deep soaking about once every two weeks during the heat of the summer. 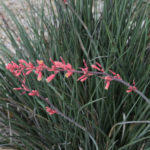 Hesperaloe parviflora is native to Chihuahuan desert of west Texas east and south into central and south Texas and northeastern Mexico around Coahuila.